URL : https://deepmind.com/blog/alphafold/ Paper : R.Evans, et.al., ‘ De novo structure prediction with deep-learning based scoring’, A.W.Senior In Thirteenth Critical Assessment of Techniques for Protein Structure Prediction (Abstracts) 1-4 December 2018 (아직 Full paper 는 공개 안된 듯 합니다.) AlphaGo ver…. We have openings for multiple korean post-doc and research professors (link (Korean)) as well as graduate students. .
2016년 GIST 연구성과물 전시회 소개자료 Whole week from 11.21~11.26 there will be Research Outcome Exhibition at GIST Oryong hall. 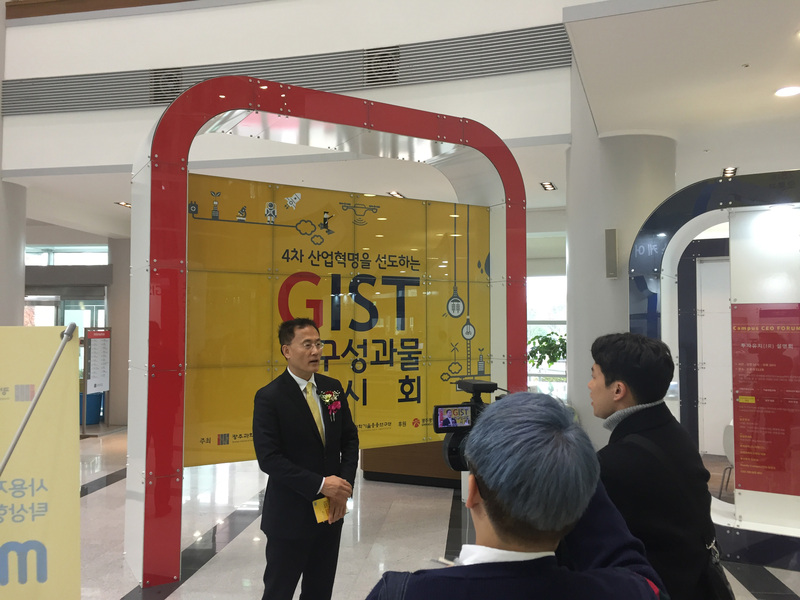 Please come meet people of GIST and check our boost!